текущий 14:33, 9 января 2019 1000 × 500 (11 Кб) FDRMRZUSA Higher svg resolution from same file (latest version): resized by "Inkscape". Same proportion: 1:2. Optimized. No other changes. 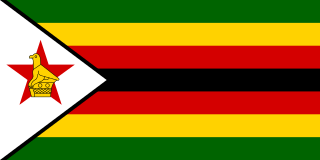 08:31, 5 июня 2016 1200 × 600 (27 Кб) Alecingram Amended to show the correct rendering of the Zimbabwe Bird as per Bruce Berry of the Southern African Vexillological Association.